One of the topics that I am asked to advise or lecture on the most frequently relates to distinctive facets of “Entrepreneurial Growth and Marketing“. Throughout the past few years, there has been a dynamic and noteworthy uptick in the demand from my clients and audiences to compare expanded characteristics and traits of founders / leaders / entrepreneurs as their organization shift from a focus of “growth” to “sustainability”. Any true entrepreneur will tell you that the characteristics that distinguish them from other business leaders aren’t positive or negative; they just “are”. There is something notably different about the “Entrepreneurial DNA“. Common adjectives include fearless, visionary, experimental, energetic, innovative, passionate and dedicated. Any business leader would be flattered with such labels, but the reality is, when it comes to long-term staying power of the business in question, those qualities simply aren’t enough. Timeframes for strategy and execution differ from entity to entity, but there are clear differences in expectations when it comes to entrepreneurial and executive roles as an organization transitions its priorities from start-up / growth mode to long-term sustainability. In the current environment, status as a visionary, innovator or developer of a product or service is nothing more than the base price of admission. Those that want to launch into the next phase must implement a generalist mindset that appreciates all aspects of the operation. According to the Small Business Administration (www.sba.gov), there were approximately 30 million small and emerging businesses (defined as having less than 500 employees) in the U.S.at the close of 2017. Notably, only two-thirds of emerging business entities survive beyond the benchmark of 2 years in business, only half of all businesses survive 5 years, and only one-third will survive the measure of “sustainability” – 10 years of operations. There are no shortcuts when it comes to leadership. The truth is that there are dozens of considerations that entrepreneurs, managers, and members of the c-suite need to prioritize if they want their organization to join the exclusive “10 year survival” segment. Characteristics of leaders in each of these phases doesn’t always come naturally to entrepreneurs, but they can be learned. Or achieved with with the right training. 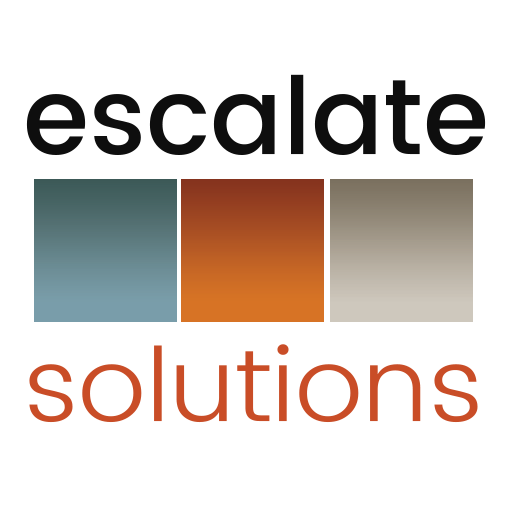 The following summary is a tool from Escalate Solutions that entrepreneurs and c-suite leaders can utilize as their organizations evolve through their business life cycles – from Formulating/Start-Up mode to Short-Term, Mid-Term and Long-Term aims. Critical focus areas for discussion include Culture, Brand, Objectives, Mindset, Methodologies, Means of Growth (including Sales, Marketing, Business Development), Outputs/Measures, Engagement, Leadership Style, Operational Fundamentals, Approach, Tolerance/Survivability, Differentiators, Responsive, Resources and Openness to Change. Consider the following…and let us know if we can help guide you through your conversation. This entry was posted in Alignment, C-Suite, CEO, CMO, COO, CSO, CTO, Culture, Disruption, Entrepreneurship, Growth Strategy, Kimberly Arnold, Mission, pivot, Small Business, Uncategorized, Value Proposition, Values, Vision. Bookmark the permalink.